A merchant recently approached Instabill about finding a merchant account for his business in which he rented large dumpsters to contractors and consumers used for scrap materials or large amounts of waste. It sounded simple enough. In fact, we wouldn’t even consider it high risk – medium at best. We liked how the dumpsters had American flags on them. We went forward with the account, found the merchant an acquiring bank and proceeded with underwriting. Transaction laundering — the act of using legitimate-looking websites to process payments for illicit goods or services — is most widely used to get merchant accounts for illegal narcotics sales. Colleagues of ours have uncovered the most organized and elaborate operations, cases where new bogus websites launch as soon as one is uncovered and shut down — it’s like a game of whack-a-mole. But the act is not limited to drugs, which leads us back to our dumpster merchant. When our underwriters called the merchant’s advertised number, a person answered in a heavy accent, identifying as a tech support company. We must’ve dialed the wrong number, we thought. We called back and got the same greeting from the same person. Confused, we asked for the merchant by name, and were surprisingly directed to him. This was a red flag, and we asked for an explanation. We informed the merchant that we were unable to provide a solution for him. Instabill has been furnishing merchant accounts for high risk businesses – e-commerce, MOTO and POS – since 2001. We advise high risk merchants to think long term: Complete transparency with your business is always the best approach. Our merchant account managers will work with you to find banking solutions. The longer you process transactions, we both benefit. 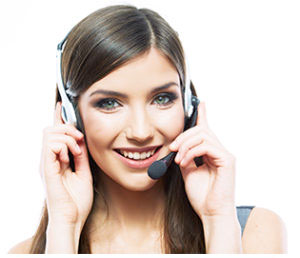 Speak directly with a merchant account manager about our solutions at 1-800-318-2713 or by clicking on the live chat option below.